ACCL » Harris, Larry D.
· Representing a public owner in the development of design-build and design-bid-build construction documents for long-term construction of a multimillion-dollar expansion of water treatment facilities. · Represented a contractor in resolving disputes involving change orders, delays and back charges in excess of $10 million in litigation and arbitration arising out of the construction of the Woodrow Wilson Bridge. · Serving as an arbitrator and the chair of the panel in two arbitrations arising out of the construction, under EPC agreements, of two process plants in southeast states. The amount in dispute in both arbitrations is in excess of $30 million. · Served as a mediator in the resolution of a multimillion-dollar dispute between a general contractor and subcontractor in the construction of the Dulles Greenway in Leesburg, VA.
· Successfully resolved multimillion-dollar claims arising out of two construction contracts for a contractor before a AAA Arbitration Panel. After 10 days of hearings and extensive post-hearing briefs, the panel issued an award favoring the client and denying the owner’s counterclaim. · Represented a public utility in the drafting and negotiation of construction contracts for a multimillion-dollar liquefied natural gas (LNG) plant. · Served as the chair of an AAA construction arbitration in a $10 million dispute. · Served as the chair of an arbitration panel in an AAA arbitration arising out of the construction of a federal building. The dispute concerns delay and changes claims in excess of $5 million. · Represented a construction contractor in a $20 million dispute arising out of an EPC contract for a 199 megawatt combined cycle power plant in Colombia, South America. The dispute was successfully resolved through AAA arbitration. It involved changed conditions, scope of work, and retention disputes as well as the owner’s counterclaims. · Served as a party-appointed arbitrator in an arbitration administered by the International Chamber of Commerce arising out of the construction of a 775-megawatt combined cycle electric generating plant in Massachusetts under an EPC contract. The dispute concerns delay, changes and acceleration claims in excess of $45 million. · Represented a building owner in the defense of claims brought by a general contractor and its subcontractors arising out of the extensive renovation of a church in New York City. The matter was resolved through AAA arbitration and related litigation after more than 20 days of hearings. Defeated the contractor’s claims for approximately $10 million and was awarded $2.5 million on the owner’s counterclaim. Prior to joining Fox Rothschild, Larry was a partner in Smith, Currie & Hancock LLP. He served as a captain in the U.S. Army Judge Advocate General’s Corps from 1976 to 1980 and as a law clerk/commissioner for the Armed Services Board of Contract Appeals from 1978 to 1980. Larry was also a distinguished military graduate of the University of Dayton ROTC Program, to which he earned an ROTC Scholarship. 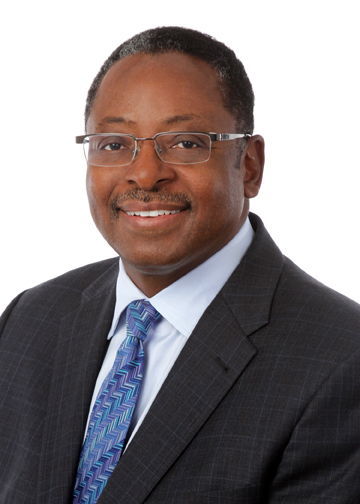 Named as one of the leading construction law attorneys in the District of Columbia by Chambers USA, Larry represents clients in construction and public contract negotiation and dispute resolution. He also frequently serves as a construction mediator and arbitrator. Larry assists contractors in construction, supply, aerospace and service contract disputes arising out of federal, state, quasi-public and private projects and contracts. He also represents both public and private owners in construction disputes with general contractors and their subcontractors. He counsels domestic and international companies, contractors, subcontractors, owners and design professionals in connection with changes, specification conflicts, construction defects and acceleration, delay, disruption and termination claims arising out of construction and supply contracts. Larry has litigated matters for clients in federal and state courts in numerous jurisdictions, before boards of contract appeals and in arbitration tribunals. He also has wide-ranging experience in alternative dispute resolution (ADR), helping clients resolve disputes via arbitration, mini-trials and mediation. Additionally, Larry drafts and negotiates construction contract documents on behalf of contractors, owners and lenders for a variety of projects, including heavy civil, power, building and transportation. Larry is an active member of his community. He is a founding member of the board of governors of The Tower Club in Tyson’s Corner, Virginia, and is a former coach and commissioner of the D.C. Stoddert Youth Soccer League. He served on the trustee board and as its vice-chair of the Norwood School in Bethesda, Maryland and is a member of the Washington Lawyers Committee of the United States Holocaust Museum and on the Board of Passion for Learning, Inc. Larry is also active with his alma maters, serving as a former board member of the George Washington University Law Alumni Association, a founding officer of the law school’s Black Law Alumni Association and on the Alumni Board of the University of Dayton.